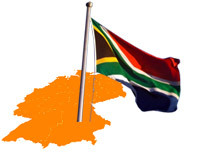 Please note that the Embassy of the Republic of South Africa including its Consular Service will stay closed on Friday, 26 April 2019 as well as on Wednesday, 1st May 2019. Please note that since 1 July 2018 the Embassy of the Republic of South Africa in Berlin is closing at 13h30 on Fridays. The opening hours of the Consular Services (Visa & South African Documents) are not affected by this - please |+| click here to download the opening hours.